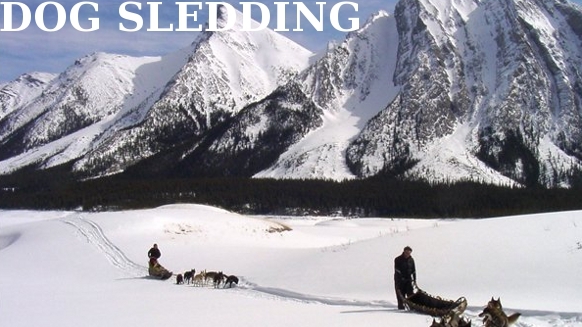 BANFF, ALBERTA, Canada – Experience the Canadian Rockies in Banff National Park like never before with Snowy Owl Sled Dog Tours. Our sensational Flight of the Great Snowy Owl Dog Sled Tour offers an unforgettable wilderness adventure with breathtaking views of the Goat and Sundance mountain ranges. Our instructors and charismatic huskies will take you on a journey through natural and human history that’s bound to be one of the highlights of your Banff travel experience. The Flight of the Great Snowy Owl Dog Sled Tour combines the features of either the Powder Hound Express Tour (2.5 hours) or the Sunfeather Winterlude tour (4.5 hours) with a jaw-dropping 30-minute helicopter flight to or from the launching site. Be sure to specify the sequencing and length of your tour when you make your reservation with us.